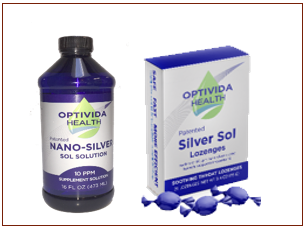 This Silver Solution Package gives you a chance to try 3 Silver products for a reasonable price. You select the silver gel you'd like. Select 1 Silver Gel from list. Mark you selection in the selection box at the top of this page. See individual silver product pages for product information, suggested usage, and supplement facts. I love Silver Sol products!! I love Silver Sol products! They work very well for me! The liquid has served me well as an anti-viral. I use the lozenges all the time. For example, I use them whenever I am going to be around multiple people, especially in a confined area, or around even one person if I do not know them. And, I take one as soon as I have the slightest sore throat. I use the regular gel for all kinds of skin issues. The Silver Solution Sampler 4G is a great way to sample these products or to order just a few of each any time.